Chinese cracking group 3DM has released the newest build of “Dont Starve” for PC. It is a open world survival video game developed and published by Klei Entertainment. 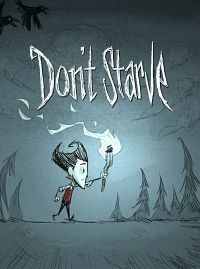 Description: Don’t Starve is an uncompromising wilderness survival game full of science and magic. You play as Wilson, an intrepid Gentleman Scientist who has been trapped by a demon and transported to a mysterious wilderness world. Wilson must learn to exploit his environment and its inhabitants if he ever hopes to escape and find his way back home. Feel free to post your Dont Starve Incl Reign of Giants Expansion Build 20150428 CRACKED- 3DM torrent, subtitles, samples, free download, quality, NFO, rapidshare, depositfiles, uploaded.net, rapidgator, filefactory, netload, crack, serial, keygen, requirements or whatever-related comments here. Don't be rude (permban), use only English, don't go offtopic and read FAQ before asking a question. Owners of this website aren't responsible for content of comments.